Our school timetable is based on a three lesson day, except on a Thursday when we have an additional lesson as part of our enrichment programme. At the end of Year 8, students are guided onto our Pathways programme. Most begin their GCSE programme; typically taking FCSE in either French or Spanish and one other GCSE. 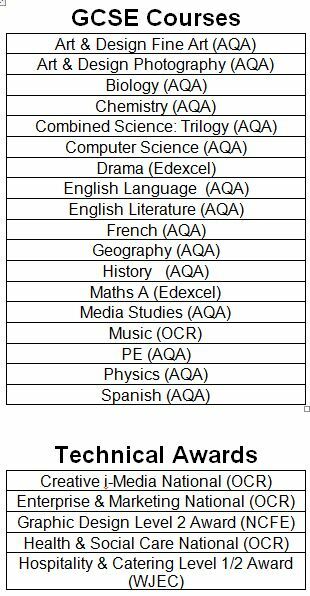 Some follow an alternative Pathway including additional time allocated to some of the subjects taught in Years 7 & 8, with a view to being better prepared to start GCSEs in Year 10. All our Pathway GCSE courses are 1 year programmes taught for 5 hours a week. Typically students take one GCSE in Year 9; complete their MFL GCSE and add another option in Y10 and take two additional options in Year 11. To find out more about each subject and the content taught in each Year group, please click on the subject links on the left of the page. If you would like more details about our curriculum please contact Mr Paul Reed (paul.reed@macclesfieldacademy.org).